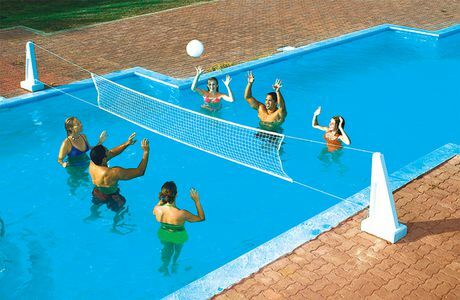 Pool Jam In-Ground Volleyball/Basketball Combo combines your two favorite pool games - volleyball and basketball. 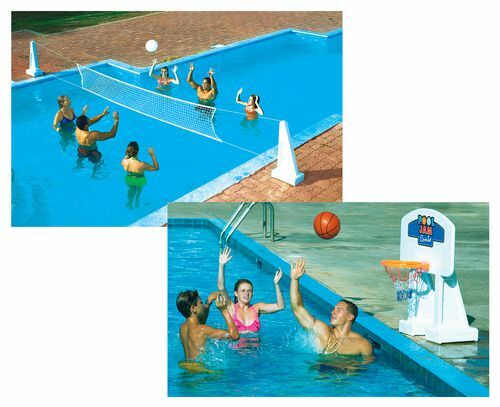 Both games feature Hardbody stands that will withstand the rigors of pool fun. The set includes two realistic game balls. Both games are quick and easy to assemble. Convert from basketball to volleyball in just seconds with the Insta-snap backboard design. 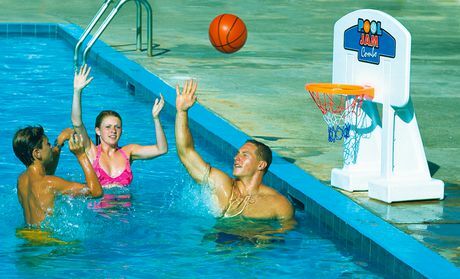 Have a blast this summer with this great game combo.